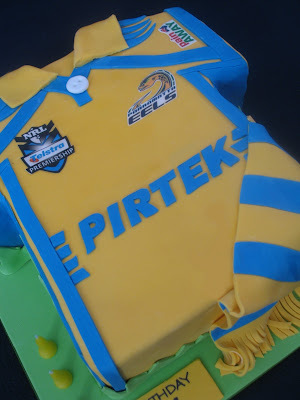 Not being an Eels fan (avid Tigers supporter!!) I should've said NO to this request on principal alone - but who am I to judge! 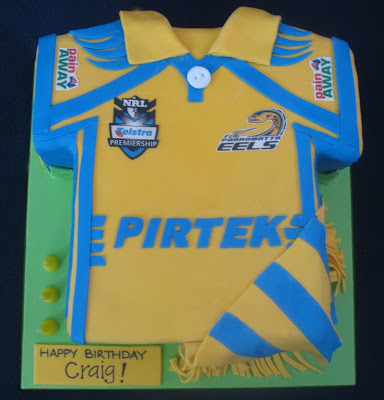 Craig celebrated his birthday with friends and family at the Mean Fiddler over the weekend and being associated with the Eels club in a professional capacity, this cake suited him well! 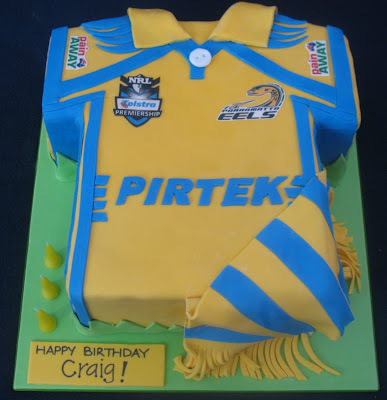 The cake is chocolate mud cake with dark chocolate ganache. Everything is completely edible and all sponsors logos are edible images, except for Pirtek which was hand cut. Hi, the cake looks great. 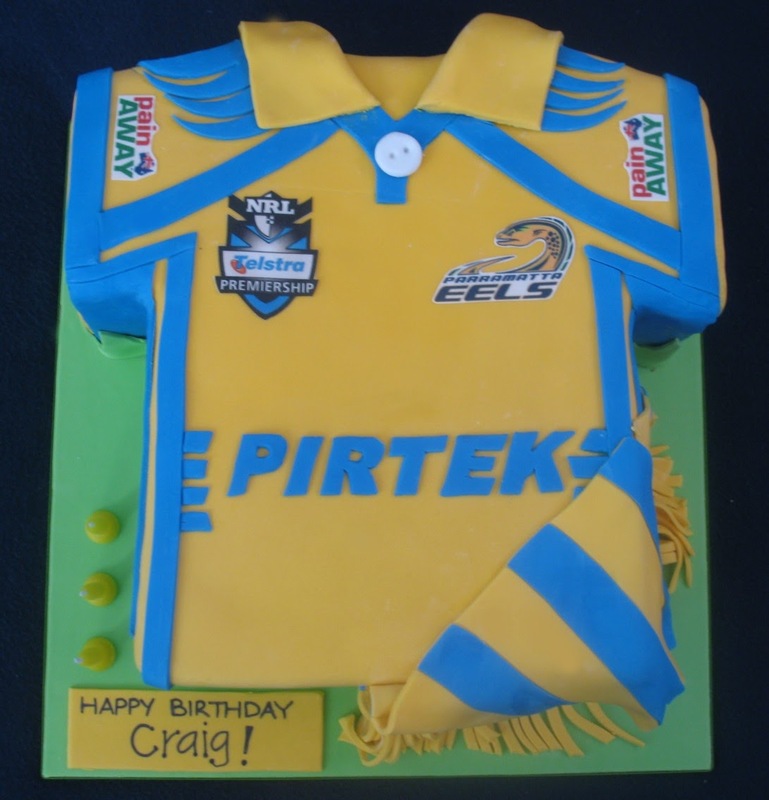 How much would it cost to have a cake like that made? 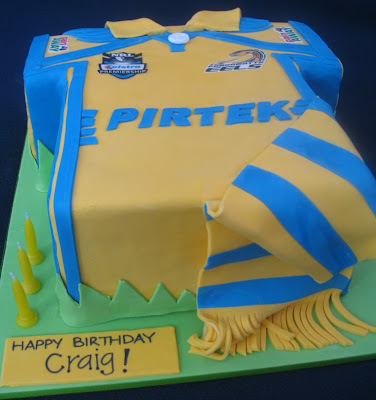 My cousin is a die-hard Parramatta supporter and I was thinking about getting one for his birthday.